Thank You Zenith Infotech - A Day In The Life . . . I have been blessed to make some great connections in this business. One of the best in the last few years has been our relationship with Zenith Infotech. I am honored and humbled by what they have done for us. Awhile back Zenith sent some folks out to Sacramento to film our staff, our clients, and a few partners. Now 20 hours of video has been boiled down to 20 minutes. At 9:30 AM today Zenith Infotech will present A Day In The Life of Karl Palachuk. You know, I'm pretty good at self-promoting, but this one makes me feel humble. It is truly an honor that anyone other than my Mother would think I or my company would be worth this attention. But I have to promote, so here we are. Please join us at 9:30 AM Pacific / 12:30 PM Eastern. Jim Milliron from Zenith Infotech and Lynette Bohanan from CommCentric Solutions did an amazing job. I'm sorry they couldn't include everyone and everything they filmed. But we are very happy with the results. They do really great work. I thank Akash Saraf and the whole team at Zenith for this opportunity and for the relationship our companies have built over the last three years. It is actually an honor to work with these folks and I'm grateful for the degree that they have chosen to engage with our company. I hear people say they've had a problem with this or that issue at Zenith. But I can honestly say that KPEnterprises has been very pleased with our engagement from day one. Well, first of all, you have to be realistic about what you expect. When we engage someone for a major relationship (ConnectWise, Autotask, Kaseya, Zenith, Ingram Micro, Synnex, Own Web Now, MSPU, etc.) we have expectations. These expectations must include a philosophy about how you will handle issues. No two organizations can interact with zero problems, zero issues, zero disagreements. It's not possible. So you have to have some idea of how you hope to handle issues. Early on with Zenith we didn't understand their "way" of doing things. And they didn't understand ours. We would change a ticket status and they would change it back. We assumed they were checking something but they didn't assume that. So one day Manuel (then running the tech dept) made a complete list of every issue and disconnect. He got on the phone with our account manager and one or our techs. And they educated us while we educated them. At no point did we consider lines like "We're the customer. Do it our way. We're always right." I tend to fire customers who say that to me. Anyway, we made a commitment to a relationship. A second key factor is that our team was deep with experience in 1) Ticketing and 2) Outsourcing at the enterprise level. That gave us a huge advantage because we understood HOW to assign tasks to Zenith. You cannot simply enter a ticket that says . . .
1. Firewall configuration is only possible via internal network. Connect to server DC1, open a web browser and connect to firewall SonicWall180 with user admin and password 1234fakepassword. 2. Backup the firewall configuration to server DC1 c:\!Tech\hardware\Firewall with a date-named filename (e.g., TZ180-20100228_A.config). 3. SQL4 is not currently visible from outside network. Verify internal IP address for SQL4. Should be 172.16.69.70. Point external IP 188.14.27.9 https port 443 to internal SQL address. 4. Save the configuration and create another backup to server DC1 c:\!Tech\hardware\Firewall with a date-named filename (e.g., TZ180-20100228_B.config). 5. DNS has been set up for this. You should be able to connect to https://sql4.schmoevilleford.com. Verify that you get a logon page. This job should be done between 11:00 PM and 6:00 AM Pacific time. Realistically, many people will simply say "Point external IP to internal IP for port 443" and leave it at that. And that may be fine. And you may be successful. But if you were assigning this to one of your techs to do overnight - and you don't want a call at 2:00 AM - you need to be more detailed. So the reality is that it takes time and effort to manage your outsourced resources (Zenith, Dove, MSPSN, or whoever). You need to set reasonable goals, give good instructions, and then hold them accountable. If something goes wrong, fix it first and then figure out what happened. Do not give up because YOU didn't set up your outsourced team for success. Anyway, I always get the question of why we get so much success out of Zenith. It's because we work with them as a team and not as a nameless faceless tool. So . . . Check out the video. I don't know if you'll find any gems that will change your life, but you'll get a sense of how KPEnterprises and Great Little Book operate. You'll meet a couple of our clients and some of our local partners. There are some scenes at the data center. And you'll even get to meet my beautiful daughter Victoria. Throw some popcorn in the Microwave and settle in for a great little video! And thanks again to everyone at Zenith Infotech. I am honored. I also thank my whole team for creating a company worthy of a little attention. Maybe 99.9% won't apply. I have to admit we've never applied. But I know several people who've won. Because they did apply. Now that I have a marketing guy, maybe we'll get it done this year. The time has come to start submitting your nominations (see http://bit.ly/9IFTsC) for this year’s WPC 2010 Award winners! As in past years, the WPC 2010 Awards winners will be chosen from those nominations submitted to Microsoft and the nomination process is open now until April 2, 2010. That's over a month, but don’t go put it off and say. So get working on your nomination submissions now to make sure you get yours in and you secure your chance to be chosen as a winner this year. This year Microsoft has expanded the WPC 2010 Awards to showcase even more partner solutions and they have introduced a new, Microsoft Country Partner of the Year award (see http://bit.ly/c4nXpE). What's better than the random ramblings of a few people? The collective ramblings of the Community! Here's what we're up to: Introducing the SMB Community Podcast! Anyone - that means you - can contribute to this podcast. All you need to do is to get me the audio files. If you totally over-produce something, that might get broadcast separate from plain spoken word. But I don't care. As long as you can legally contribute whatever you give me, I'll try to broadcast it. I want you to share opinions, successes, challenges . . . Whatever! Tell a joke, but keep it clean enough to broadcast to the general population. I have set up phone numbers with voice mail on three continents . . . those with the biggest participation in the SMB Space so far. So any time of the day or night people can just call up and give me their contributions. If you have something longer, ping me and we'll arrange to take delivery of the file. Be fun, interesting, and outrageous! Don't wait for someone else to create this podcast: YOU do it today! What is The SMB Community Podcast? The easiest way to contribute is to call one of our Voice Mail numbers and leave a message. This is best for messages five minutes and less, although almost any length you leave is fine. Everyone can also call me on Skype and leave voice mail there. Just connect to karlpalachuk on Skype. Everywhere else, you need to pick one of these. Sorry. What If I Want to Submit A Longer Audio? Email KarlP@greatlittlebook.com and we can make arrangements for getting us the file. Please do not email the file. If you have a skydrive or other hosted file sharing service, you could send us a link. Otherwise, request a link and we'll give you credentials to upload a file to us. Please Note: I'm not going to re-broadcast old stuff, and I'm probably not going to throw up a 60-minute file. Think in terms of small "segments" that I can piece together into a show. After we get some interesting input from YOU, we'll combine the audio clips and produce a podcast. Our goal is to get everyone to give us a few gems. A tip, a trick, a warning, an endorsement, . . . whatever! Make it fun. Make it useful. We know it will be good! Not everyone has an hour-long podcast in them. But everyone DOES have great tips and best practices the rest of us can use. Can You Give Examples of What You're Looking For? We want someone to tell a joke. We want someone to endorse a product. We want someone to pose a question or challenge to the community. We want someone to brag about a big sale - or losing some weight. We want all the tidbits that make this a community - a community of human beings all over the globe who just happen to share a love for providing technical support to small and medium size businesses. Where Will the Podcast be Posted? Podcasts will be posed at http://www.GreatLittlePodcast.com. Once we have the first podcast up we'll post an RSS feed, put it on iTunes, etc. Don't worry. You won't miss it. Email KarlP@greatlittlebook.com and we'll post the answers over at http://www.GreatLittlePodcast.com. Is BPOS the "new new" for Microsoft? Faced with an aging technology portfolio, Microsoft is quickly moving into the cloud with the Business Productivity Online Suite (BPOS). The big question is will Microsoft partners and the SMB channel follow? Learn exactly what BPOS is and isn't. Then engage in a lively and spirited discussion about its role in the channel. Is it a friend, foe, or somewhere in between? Microsoft BPOS development team members will be on this podcast so don't miss this opportunity to elevate into the cloud. What are they really offering us? And is there a plan beyond simply deploying today without a thought for the future? Join us February 17th for the next Cloud Services Roundtable. We'll talk to the BPOS team and see how many of these questions we can get answered in 60 minutes. Join me and Harry Brelsfor for a great show! Win a Free Pass to Jeff Middleton's SBS Migration / IT Pro Conference - on SMB Books!
. . . and we're giving them away! Fill out the form at SMBBooks.com to enter the contest. You need to attend a professional conference! So we want to help. Therefore, we bought some conference tickets to give away. Of course it's all a big promotional gimmick. But what do you care? You get to attend a major conference for FREE! SMB Books made arrangements to buy an extra pass to Jeff Middleton's SBS Migration / IT Pro Conference so we can offer it up for FREE to some lucky person. The rules are very simple: Please only enter once. Open to all residence of the known universe. No purchase necessary. Contest ends at 11:59 PM on the Saturday before winners are announced (Pacific time). Prize does not include hotel or airfare. No substitutions please. Note: If you have won any conference registration through SMB Books in the last six months, you cannot win another. via Karl's SMB Email. When you enter the contest you will be subscribed to that email list. 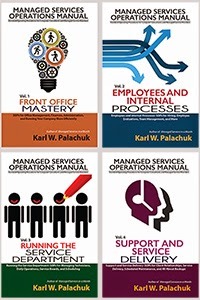 Win a Free Pass to Autotask Community Live - on SMB Books! To A Great Conference -- Autotask Community Live! SMB Books made arrangements to buy an extra pass to Autotask Community Live so we can offer it up for FREE to some lucky person. via my SMB Email. When you enter the contest you will be subscribed to that email list. Win a Free Pass to the Robin Robins Bootcamp - at SMB Books! To A Great Conference -- RobinsBigSeminar.com! So we want to help. Therefore, we bought some conference tickets to give away. Yeah, it's a big self-promoting gimmick. But what do you care? You get to attend a major conference for FREE! SMB Books is happy to work with Robin Robins to help you get a FREE pass to this great conference. More details at Robin's Site. About six months ago I setup a network for a business customer. While I was there she asked me to check that her external USB drive was backing up her data. It had been set to the original defaults which backed up her "My Documents" folder and email. I asked her what programs she used, and specifically what data she wanted backed up. I selected the folder that contained the data for the business program she told me she used. I remember I also talked to her about the benefits of using a drive imaging program like Acronis and also using off site backup such as Carbonite. This week her hard drive crashed. I reinstalled Windows, etc. on a new drive and restored her data from the backup. She is now quite upset that she does not have any data from her primary Line of Business Application. This program contained ALL of her business contacts and appointments. This is the first time I've heard of this program and she did not mention it when she asked me to check her backup program. In any event, the customer believes it's my fault that her data was not backed up. I feel bad that she's unhappy with me and I'm a little worried that she might even sue me. To Start With: Never think this can't happen to you. This is why we don't do break/fix any more. It's also why we are incorporated and have E&O insurance. But even in a managed environment there are clients who don't communicate well. Many have unreasonable expectations. And some even go out of their way to look like they know what they're doing when you talk to them. This gives you a false sense that they will take some responsibility for their own systems. Here are a few things to know about backups. Some of them could be put into a nice informational flyer for your client (not all, obviously). First, NO backup system can be considered to be "working" until you restore from it. If you can't restore, you don't have a backup. Second, NO backup system will automatically work forever. You need to verify that it's still working from time to time. You do that by performing a restore. Third, The computer tech needs to determine what needs to be backed up -- not the client. The client wants as much as she can get for her money. And when stuff goes wrong, she's going to want to get everything back as fast as possible. There's only one perfectly safe way to make sure that you have her data no matter where she decides to put it: Backup or image the entire system. Everything Every Night. There is no auto-backup system that will work forever. Get over it. We've said consistently for fifteen years: half of the new clients who come to us have no working backup. Some know it, most don't. People dutifully switch tapes (or disc or pay for off site backup) in the belief that they're protected -- but they're not. In most cases, the automated backup failed at some point in the past and never restarted. This can happen because of an update to the hardware drivers, update to software, or even a password change. The backup stopped working and no one ever did a test restore to verify that it was still working. I literally know people who switched tapes for YEARS and didn't know that the service wasn't running because a password had been changed a couple of years before. - NO backup system can be considered to be "working" until you restore from it. If you can't restore, you don't have a backup. It's like a tree in the woods. If you back up the data but can't recover it, have you really backed it up? How do you know when your backup has failed? Well, you either get a report about that or you check it yourself by doing a restore. We are often asked what to back up. The answer is easy: Anything of any value. If you want it, back it up. Assume this building ceases to exist today. Fire, flood, hazmat spill, roof collapse. Whatever. You can't get to your machines and you want to stay in business. What do you do? How much data do you NOT want to recover? The next question is "How often should we back up?" The answer to that is, how much data do you want to re-create. If you are happy with losing one day's data, backup every other day. If you're happy losing a week's work, back up once a week. If you're happy losing a month's work, back up once a month. Most people in this discussion will say they don't want to lose anything. Some will even get into discussions about zero operational downtime and total system redundancy. That's all cool until they see the price tag. Everyone knows that moving from 99.99% up time to 99.999% up time is expensive. And every nine costs a lot more than the last. 99.99% up time is 53 minutes of downtime per year. That's one really fast reboot per quarter. 99.999% up time means five minutes of downtime per year. The different in cost is dramatic. And 99.999% of small businesses will say that they can't afford a system with that kind of up time. Cool. No shame in that. But the calculation of reliable backups is very similar. You want a cheap backup? There are services offering unlimited skydrive space for $5/month. I don't know where your data is, who has access to it, how fast you can retrieve it, or how you even test that for disaster recovery. The average $1 Million business should be willing to invest in a $1,000 or $2,000 backup system. Yeah, I know that's a lot of money. What's the alternative? I had a client whine to me about the cost of Microsoft Office the other day. Well, *I* didn't set those prices. I can't make Office cheaper. You can hack together some illegal solution you bought off ebay or got from a friend. I can't be involved in that or know about it. Similarly with backups: Do you want a fake backup solution that won't work when you need it but saves you $1,000 today . . . or do you want to stay in business when your system fails? It costs money to be in business. It costs more money for half-baked, unproven, untested backup systems than for proven, known technology that is tested on a regular basis. Sorry. I didn't make the real world. I just try to spend time there. In the end, I would tell you that NO Backup System is complete without regular maintenance and testing. No automated system works forever. And you do your clients a disservice by letting them believe they are safe when they are not. If a client hires you to create a backup system and something goes wrong some day (which it will), they have every right to come to you and ask for 100% of their data back. Your only defense for failing them is that 1) You told them this would happen, and 2) You offered to maintain their systems so you could always restore after the disaster hits. If they turn you down, then it's all on them. If they accept, you sign a managed service agreement. Have you ever seen such an amazing seminar all in one day? Bring Someone and Save Big! If you register two or more people, your price drops automatically to only $179 each. An Introduction to Zero Downtime Migration Strategies - with lots of room for your questions! - - - - - Consider a Bonus Bundle: Get the Seminar Plus The Network Migration Workbook together - $550 Value Only $399 when you buy them together! - Register Now Get the Seminar Plus The Network Migration Workbook Plus The Network Documentation Workbook (ebook) together - $640 Value Only $469 when you buy them all together! - Register Now - - - - - Money-Back Guarantee: You Will Save at Least Twice the Price of Admission on Your Next Migration with the techniques you'll learn in this seminar. CEO, KPEnterprises Business Consulting, Inc. I learned many years ago in corporate America that I can only manage a handful of people directly. And I don't want the word "manage" to have any kind of negative connotation. If you hire super-good talented people and don't agree on what they're to do, they'll keep busy doing what they think they should do. Sometimes that works, but most times not. At some level, people need a sense of team work. They need a sense of belonging, a set of common goals, a set of common practices, and a structure so they can support each other. That rarely happens by itself. Maybe the word for this is leadership. Maybe it's culture. Maybe it's vision. Some kind of culture will evolve on its own, but probably not a culture anyone would have chosen. What won't evolve on its own is training in how YOU operate your organization. How do you work a service request? How do you communicate with clients and each other? How do you choose products, handle the phone, track time, etc.? The best people in the world need guidance and training. I have learned that I am at my peak of performance when I am managing four or five people. Six is not a problem. It just takes more time. Seven is a problem. Eight is a lost cause. And after that I don't get much done except pushing papers and dealing with little crap. So I need to be in the range of 4-5. We are just emerging from a major growth-related reorganization at KPE and GLB. My brother stepped out of the daily operations. Then we hired two more techs. That seriously flattened the org chart because I now needed to directly manage the entire tech department. Then we hired a sales guy. Love him, but he needed training and hands-on support in order to be successful. So I also managed him and Jennifer, the office manager. On the GLB side, Jennifer manages 75% of what people need and I try to do the rest. But Jennifer reduced her hours for about six months. Now, thank God, she's back. In the meantime, the structure at GLB was flatter than the org chart suggests. The other day someone mentioned that spirits are pretty high in our office on Mondays and that grumpiness settles in by Friday, related in large part to my absence toward the end of the week. I don't walk around with a red wig and a seltzer bottle, but my presence somehow helps people. So I've learned to spend partial days out of the office instead of whole days. The truth is, just like kids, the staff sometimes loves it when I'm gone. But just like kids they also know it's really best if I'm there most of the time. And the worst part is that everything in life keeps changing. The staff we have today is not the staff we had a year ago. The interaction and attitude is not the same. The physical office layout is not the same. The goals and the org chart are not the same. So that makes the learning curve a little bumpy. You can't "figure things out" and then just let it ride. You have to keep working on working on the business. Today Mike is taking over managing the techs. I'll be hands on while we finish out the quarter and make a smooth transition. But I am greatly relieved of not having to be the direct contact there. Jerry (sales) still reports directly to me, but he spends more and more time out knocking on doors. Jennifer's back to where God intended her to be and that means I can go back to scheming and planning to take over the world. 1) Learn your limits with regard to management. No human being can be without guidance. 2) Every time someone leaves the company, your org chart flattens a bit. This is true no matter how large your company is. Someone has to do that work, or the work won't get done. 3) Every time someone is hired into the company your org chart flattens a bit. This is true no matter how large your company is. Someone has to train and monitor and help the new person learn the culture. That's time taken away from other things. 4) Don't pretend this won't happen. Someone (you or another manager) will have to step into more of a hands-on personnel management role whenever a change is made. Accept it. Jump in with both feet. Get it done and get it over with. The more you resist jumping back in, the longer it will take to get the training and guidance done to the point where you can jump back out. 5) Get back out of this temporary role in a reasonable amount of time. Don't let your organization flatten and then stay flattened. Force yourself back to your proper role and let the people you've hired do their jobs. One of the greatest lessons of The E-Myth Revisited by Michael Gerber is the story of when the assistant/lifesaver left and the bakery owner jumped back in to do all the work herself. She had to go through a painful lesson that you can't take back all the work -- at least not for long. As small business owners, we need people who are willing to do whatever it takes. If someone is above taking out the garbage or helping with a big mailing, they need to get a job in a big corporation. This includes the boss. You need to be willing to jump in and help your team when they need it the most. One of the recurring events where you team needs you is during times of growth. At the same time, you need to also step back and do YOUR job, which is to run the organization. You can't do that if you've permanently placed yourself at the wrong spot on the org chart, or you've let a temporarily-flat org chart become permanent. Free to enter. Join me in Vegas, Baby! We've been busy beavers over at the Cloud Services Roundtable. Please see the postings at cloudservicesroundtable.com. Microsoft Business Productivity Online Suite - has not been well received by the consultant/partner community. Well it's been a few years. What are the real margins, strategies, and positioning for this product suite? Read the full description at cloudservicesroundtable.com and register today. Join us as we broadcast live from the SMB VOIP Conference in Las Vegas. We'll talk to some VOIP folks who are moving to a hosted model big time. In some sense, hosted telephone service has been around longer than most computer technology. Let's find out what our options are for MONEY in the SMB space! One of the great trainers on Cloud Computing is going to be announcing some very cool offerings for the SMB Space. We'll let someone else scoop the actual announcement. I'm not an ace reporter. But we'll do an in-depth interview and give you as much specific information as we can about how you can make money in the cloud. We've been blogging and talking about these offerings for years. Now we're ready to share some sample offerings with the SMB Consulting community. That means sales materials, discussion points for clients, configurations, and migration processes. We're going to try to cram it all into 60 minutes! Lots of specifics. For all of these you'll find nice full descriptions at cloudservicesroundtable.com. Please go and register for free right now. These show include March 24th, April 14th, and possibly April 28th. We have been extremely pleased with the Cloud Services Roundtable broadcasts so far. Turnout has been good and the feedback has been positive. Believe me folks, the rocket ship is moving just a little faster than you're aware of. Don't miss the ride! So let's lay our cards on the Round Table: Microsoft's BPOS - Business Productivity Online Suite - has not been well received by the consultant/reseller community. There are two obvious reasons for this. First, Microsoft spent more than a decade befriending us (VARs/VAPs/Partners), and then decided to sell against us directly with our existing clients. Second, the program originally had very low margins. The issue of margins is pretty well taken care of. While many of us manage to get 20-25% on licenses and OEM versions, the 18% margin on BPOS is in line with many software sales. It is certainly not out of line. Perhaps the biggest lingering problem here is the continuing perception that the margins are too small without regard to what the current policies are. The bigger issue is one of positioning Microsoft as working with partners instead of against them. This might be alleviated with good margins and assurances that Microsoft will not simply take their clients and leave the partner with nothing. Well . . . it's been a couple years now. BPOS is finding traction among some specific resellers out there. Interestingly enough, these folks are not the traditional SMB / MSP resellers. They're making headway with small biz clients and making a decent (18%) profit along the way. Now comes the cloud. Now comes virtualization, cloud-based backups, hosted services, and smaller servers in the client office. The recession drags on, with a few rays of hope shining through. Many clients have put off upgrades, or closed their rented offices and gone to their home offices. Many of these people won't be back any time soon. At the same time, new businesses are still being born every day. And many of these new businesses are totally without an office. They are virtual offices that will never own a server. Some kind of "hosted" office suite makes sense for them. Given all this, it's a great time to look at what BPOS is up to. What are they really offering us? And is there a plan beyond simply deploying today without a thought for the future? Join us February 17th for the next Cloud Services Roundtable. We'll talk to the BPOS team and see how many of these questions we can get answered in 60 minutes. Trust me . . . this is NOT just another opportunity for the MS sales team to show the same slide deck for the 1,000th time. This is an audio program. And the deal was pretty clear: They get to speak to an audience that has NOT been selling their product and has a certain level of suspicion. Microsoft is the 800 pound gorilla when it comes to the office suite. Google, Open Office, Wordperfect, and a handful of lesser products are still organ grinder monkeys compared to Microsoft. But the monkeys are eating right and taking their vitamins. So Microsoft needs to pay attention to this market. It should be a great show. If you haven't been to an ASCII Success Summit, you should plan to attend one. You can view the schedule at http://www.asciievents.com/. These events are free to ASCII members -- and well worth the effort to attend. If you're a member and traveling more than 50 miles, you'll even receive one free night at the hotel. The next big event is February 18th in L.A. The Summit moderators will be . . .
Panel Topic: "Strategies to Maximize Your Brand against the Commoditization of Managed Services." Panel Topic: "Approaches on Leveraging the 'Security' Conversation to Retain Customers." Panel Topic: "How to Maximize Service Delivery and Utilization Rates"
Panel Topic: "Cloud Consulting - The Conversation You Need to Have Now With Your Clients." Each moderator will be preparing their panel to answer specific questions related to the topics below. In addition, attending ASCII members will also participate through live mobile polling, injecting their perspective on the topic furthering the discussion. With many events now charging fees to attend, ASCII continues to provide the ASCII Success Summits at no cost. Register your team today. For more info on ASCII Events, check out http://www.asciievents.com/. You can also keep up on all ASCII events and all the other stuff in the SMB Space by subscribing to my free email newsletter. Just sayin. There's plenty of advice for cooks who want to keep their meals interesting and manage to get all the cooking for the week done without going crazy. One common piece of advice is to schedule the week. A big meal on Sunday will provide leftovers for nibbling. Chicken on Monday; Pasta on Tuesday (can be prepared on Sunday); crock pot on Wednesday AM gives you a meal for the PM; Hamburger or Steak on Thursday, depending on your budget; meal out Friday; and Saturday is bottom of the refrigerator soup. The point is: organize your life. In this case, organize your meals. Your online presence is the same way. Some people will dedicate an hour a day, but get carried away. Many people don't get into social media because they know their personality type and are afraid they'll hang out there all day. The way to handle this is to set a time - and a timer. Social media are not going away. This is not a fad that will fade. It IS a phase that will evolve. Facebook just turned six years old. Of course it took a long time to "take off," but is now the hottest site on the Internet. Unbelievable. The future is going to be more like Facebook than not, so you better figure out what you're going to do about it. As I troll Facebook I always keep an eye out for people who have friends in common and invite them to join me. From time to time I get a response along the lines of "I only use FB for personal communications." That's cool. But you should also have a separate account for business. There was a time when people didn't know why they needed a fax machine. Now some people make fun of companies that insist on communicating by fax. My sales guy just came a across a company that didn't have an email address. I quickly surmise that that company is not "technology dependent" and we took them off the list. When I come across someone who's not on Facebook, I invite them. I want to get to know them in the semi-casual but very business-oriented discussion. And when I get an email that asks me how I do it all, the answer is . . . I schedule my day. I make time for social media and it happens. Got the following missive from Harry. Note: SMB Books is giving away a free ticket to the SMB VOIP Conference. Enter to win for free - no purchase necessary - at SMB Books. I'm arriving in Vegas Saturday afternoon. Meet me there! Well-established SMB technology community portal SMB Nation is proud to announce its inaugural SMB VoIP workshop for channel partners, computer consultants, resellers and VARs. "Our intentions at SMB VoIP are two-fold," shared Harry Brelsford, CEO of SMB Nation. "First, we want to properly introduce our long-time SMB technology consultants to the amazing world of voice and specifically VoIP. Second, we want long-time telephony experts including interconnects and agents to embrace the SMB opportunity. This second group can benefit from our speeches on how to be a managed services provider. Our intent is to bring the SMB data and voice communities together and do good business." The three-day workshop is "co-located" inside the well-established Channel Partners event (Virgo Publishing) at the Mandalay Bay Center in Las Vegas, March 1-3. SMB VoIP attendees will have full access to both shows and the exhibit hall (Channel Partners typically has 3,000+ attendees). The SMB VoIP workshop content offerings are both business and technical in nature. "We have content for all interests. For example, on the business-side, we have "How to Sell VoIP in SMB" and on the technical-side, we have a healthy debate about on-premises solutions versus hosted VoIP." Brelsford added. Speakers include leading industry experts who will provide individual sessions and open panel discussions. "You will meet Erik Lagerway, Tom Cross, Jay Weiss, Karl Palachuk, Ray Horak, Doug Green, Chris Bangs, Daniel Williams, Matt Mackowicz and Matt Wass de Czege. We've brought in SMB-specific VoIP subject matter experts." Said Brelsford. "You can't afford NOT TO ATTEND to fast forward your journey into SMB VoIP right now!" "If you don't "VoIP" your customers, some else will." Exclaimed Chris Bangs, director at Telephonation, a well-respected SMB VoIP portal. "Computer guys and gals must view this opportunity both optimistically and defensively. It's a new decade and a new economy and the VoIP opportunity on existing data networks is HUGE! Computer professionals need to learn IP-based telephone systems "yesterday" to protect their client-base. Not to mention telecoms are looking to take over network management from the computer consultant." This inaugural SMB VoIP workshop is sponsored by Avaya, Microsoft, Cisco, ConnectWise and many more. Avaya and Cisco will focus on new and exciting telephony products and partner opportunities. Microsoft will present its Business Productivity Online Suite, a set of hosted applications including Microsoft Exchange e-mail, SharePoint collaboration and conferencing tools. Event support has also been provided by Virgo Publishing, Telecom Reseller News and Telephonation. You can learn more about the SMB Nation VoIP workshop by viewing the "Get Your Head Into VoIP" webinar: http://smbnation.com/Events/Webinars/tabid/101/Default.aspx. SMB Nation (www.smbnation.com) is a publishing and events company, targeted at the small and medium business technology consultant and reseller community. SMB Nation spreads the knowledge of SMB technology trends through its books, magazine, online services, conferences and worldwide seminars and workshops. As an active participant in the technology community, SMB Nation has a long history of advocacy and evangelism. 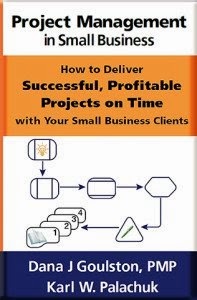 The company was founded in 1999 as Matthew\Brelsford Associates and became SMB Nation in early 2003, to promote the books and consulting services of Harry Brelsford, the author of a successful series of SMB technology books. Today, SMB Nation conferences, seminars and workshops bring forward-thinking IT consultants, technologies and vendors together, sparking new opportunities in the SMB space. Being THE information source for SMB technologists and Small Business Specialists worldwide, SMB Nation delivers complete business solutions to help them better manage their business, technological and marketing needs. Whether it's delivered in print, online, or in person, everything SMB Nation produces reflects our unshakeable belief in the power of information to spur a profitable global community. Virgo Publishing is a dynamic information services company specializing in communications through print and electronic media, trade shows and special events, education and training, and value-added business services. In general, each print magazine serves as a platform to create communities through the integration of publishing, events and the Web. For information, visit www.vpico.com. The Channel Partners Conference & Expo (www.channelpartnersconference.com) is the communications industry's only event exclusively for indirect sales organizations - agents, VARs, systems integrators, interconnects and consultants - focused on transforming their businesses to become converged solutions providers. Produced by PHONE+ magazine (www.phoneplusmag.com), the event is produced twice annually in the spring and fall and features future-proofing advice from thought-leading speakers and how-to courses on best practices, technology and strategy. Topics range from hot technologies and new opportunities to partnering, diversification, sales tips and skills building. Join us this Wednesday, Feb. 3rd for the Next big Cloud Services Roundtable: Designing Your Own Cloud Offerings with Steve Winter from Ergos Technology in Houston, TX. Steve has built an entire hosted cloud service for his clients. A lot of decisions went into that build. We'll investigate how he made those decisions and learn about what it takes to build an in-house infrastructure for cloud services. Preview Podcast: Listen to the radio show Ergos recently did on Cloud Computing (dated 1/18/10). The new Cloud Services Roundtable project provides broadcasts, podcasts, and supporting materials related to the collection of technologies known as Cloud Services. On February 17th we have a special guest who is one of the thought leaders on cloud services in the SMB Space. He has asked me to delay announcing him appearance until he makes a public announcement about his company's offerings. Stay tuned. On the First and Third Wednesdays of each month, we produce a live conference call broadcast. This broadcast will be available to anyone for free. You don't need an account here. Just find the listing of upcoming broadcasts and register.